The victory over the militants of Daesh terror group in the Iraqi city of Mosul will speed up the liberation of Raqqa, the Daesh stronghold in northern Syria, according to Iraqi Ambassador to Russia Haidar Mansour Hadi. 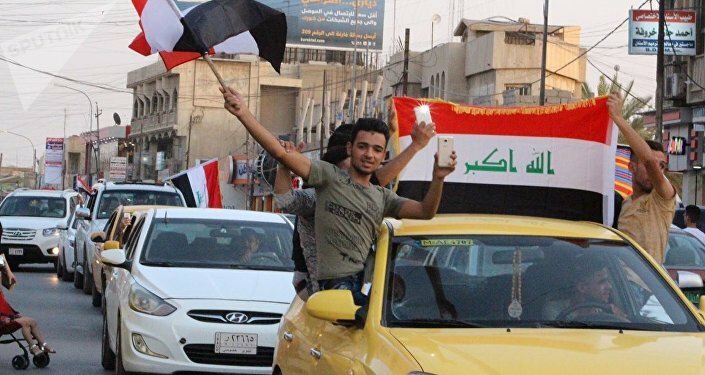 MOSCOW (Sputnik) – The victory over the militants of Daesh terror group (banned in Russia) terror group in the Iraqi city of Mosul will speed up the liberation of Raqqa, the Daesh stronghold in northern Syria, Iraqi Ambassador to Russia Haidar Mansour Hadi said Thursday. "Our victory in Mosul has considerably weakened Daesh in Syria and this must significantly facilitate elimination of the organization there," Hadi said. The diplomat described the elimination of Daesh in Mosul as a "heavy blow" to the terror group and pledged that Iraq would continue to exert efforts to combat the organization. On Monday, Iraq's Prime Minister Haider Abadi declared the liberation of Mosul, which had been held by Daesh terrorists for three years.